Graphic Design Work of Kyle Marmesh-Tocayo Brewing Co. When famed chef Rick Bayless decides to make a beer, you know it's going to be Mexican inspired! Tocayo Brewing Co. is influenced by the flavors of Mexico, brewing each beer with a unique ingredient to transport your taste buds and to pair well with classic Mexican dishes. 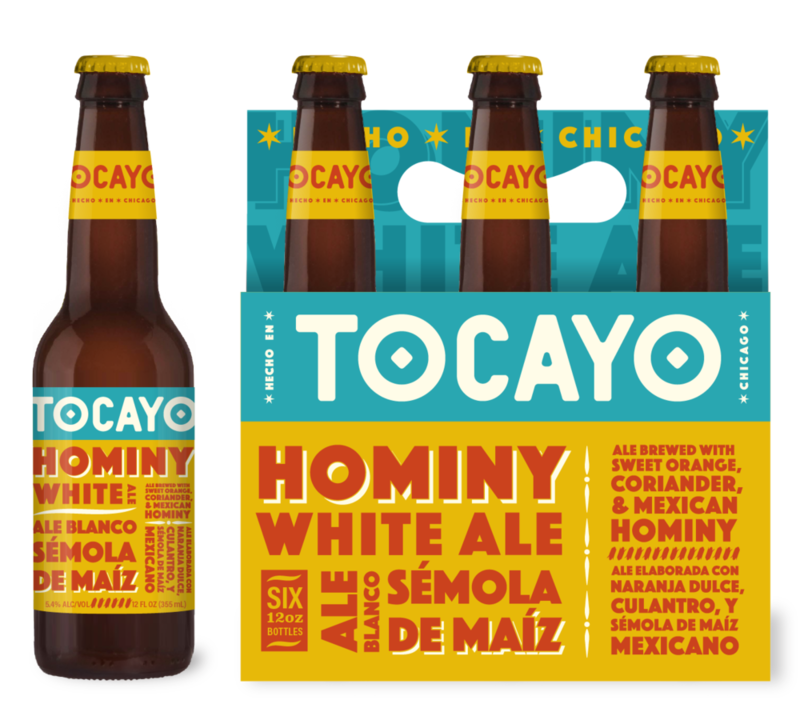 Launching the brand with their flagship beer, a Hominy White Ale, Tocayo came to Trinity Brand Group to freshen up their look and create a compelling brand story and packaging system to build future offerings upon. Taking inspiration from taco trucks and the ingredients themselves, I created a fun, colorful packaging system that pays homage to it's Mexican roots and Chicago origins. The packaing fits well within the microbrewery space, but definitely carves out a place for itself on shelf. Concept work. Completed while at Trinity Brand Group. I wanted to give a subtle nod to the windy city by incorporating the Chicago flag colors and four stars, with a modern twist. With Chicago's rich history of Mexican-American culture, I thought it would be fun to play on the mix of cultures by creating a bilingual packaging system. Really turning up the volume on the taco truck look and feel, but communicating in both English and Spanish.